Although dogs are natural swimmers, it still takes some time until they get fully confident in the water and learn to swim properly. This is why you should help your dog by taking small steps – first getting it used to the bathtub, then moving to kid-sized pools, large pools, rivers or lakes. Nevertheless, one of the most useful pet products in this case would be a life jacket. And, if you’re looking for such items on your own, perhaps our following suggestions will come in handy. The product is available in four different colors and styles, as well as in five different sizes. The X-Small size is perfect for small breeds and pups. The bright colors and the reflective piping will help you easily identify your dog wherever it is. Also, the handles on top allow you to grab your dog in just a matter of seconds and pull it out of the water should it be too scared or too clumsy at the beginning. The multi-handle design is specifically created to add durability and increased strength and sturdiness to the product. This life vest is available in seven different vibrant colors and will perfectly fit all dogs, regardless of their breed, size, age or height. It’s made of a warm fleece material on the interior to provide maximum comfort and protection during the cold season. The reflective lining allows you to easily spot your dog from a long distance, so you can take it for a long walk even during the night. The 3-point Velcro closure ensures a tight and secure fit that offers improved freedom of movement while staying in place. Also, the jacket features a special attachment for the leash. This life jacket is made of thick and reliable neoprene and is available in six different sizes to ensure the perfect fit for your dog or puppy. It features a top-quality mesh underbelly area that will ensure the skin properly breathes and dries in just a matter of minutes after your pet gets out of the water. The adjustable nylon straps will keep the product close to your dog’s body and provide maximum protection when swimming. The strong and sturdy handle on top allows you to easily grab your pooch from the water so that it will feel safe in all circumstances. Your pet requires constant exercising so you cannot keep it in small dog houses throughout the year. However, in order to shelter it from harsh weather conditions such as snow, wind, or rain, your dog will require a good vest, like this one from Gooby. The item is available in more than two dozens of colors and is made of soft fleece to keep your doggy warm all day long. The pull-over design without additional zippers, buttons or Velcro closures will help you easily put the jacket and take it off in just a matter of seconds. This comfortable dog vest comes in three different colors and five sizes, so make sure to find the right one to match the size of your animal. The reflective strips are an inspired choice if you often use to take night walks with your pet. These strips are located on the back of the jacket and will provide increased visibility during the night, so you can always keep a close eye on your dog, even from a long distance. The item features two Velcro closures – at the neck and under the belly – for a tight and comfortable fit. 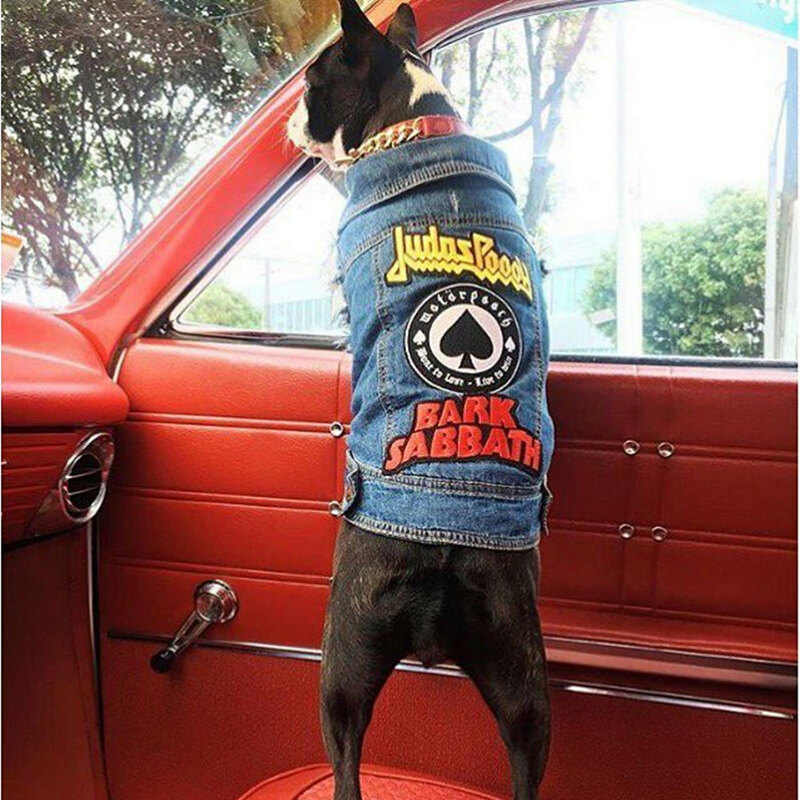 Whether you want to make your pooch look like Fonzy or are more interested in practical matters a good jacket is the item to look for. They can provide warmth during winter, they can keep the dog dry during rainy days and even keep it afloat if it happens to fall in a river or lake during boating trips. There’s a jacket to cover every need, and like with human fashion, they come in a variety of styles to address every taste. Needless for us to say, you have to take heed of your and your dog’s peculiarities when buying for one. For example, a thick winter jacket is basically a necessity for people who own slender, short-haired breeds, such as boxers or Dalmatians, but an extra layer of insulation might seem redundant on a border collie and similar sheepdogs. We will also dedicate a section to providing tips on how to find the best dog life jacket, since this is an obligatory piece of kit for when you take the dog anywhere near the water for a considerable amount of time, such as when boating or during fishing. 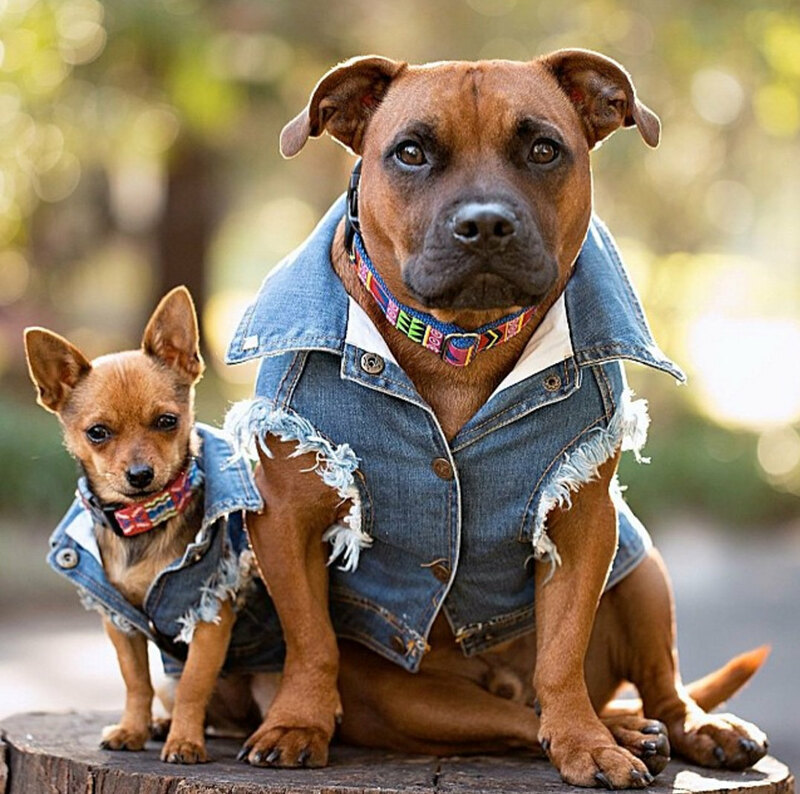 If you’re only used to compare dog collars and are just now thinking about buying a jacket for your pooch then the diversity of models available on the market might put you off. To help you out, we’ve compiled a short guide from what the best reviewers had to say. Due to the large variety of dog breeds, sizing might prove a bothersome issue. Ideally, you would simply take your pooch to the store and choose between the most appropriate fit, but often times retailers have limited inventories and you will end filling up an order on the thing you like anyway. If you decide to go with a better stocked online retailer, then you’ll have to take some accurate measurements of your pet to ensure a proper fit. The things to measure are the length of the spine, from the base of the neck through the tail, the girth of the neck, roughly around its middle, the girth of the chest area at its thickest point and, the same for the waist, roughly around the thinnest part. The measurement for the chest area is particularly important, especially if you’re shopping for winter clothes since these will tend to cover your dog’s thorax completely and might prevent movement or breathing if they fit too tight. You might allow the jacket to hang a little loose around the waist, but length should preferably come as close as possible. Protection against cold is important for lean dogs with a short coat as well as small breeds that struggle to maintain body heat due to their diminutive size. The best dog jackets for winter available for sale are relatively bulky and thick, covering most of the dog’s body, with the exception of the lower part of the belly, head (but not always) and legs. A very important thing to look for is that the chest area, both upper and lower is very well covered, since dogs lose most of their heat through their chests. This is also where the jacket will usually be strapped, so make sure it offers some flexibility and the possibility to be adjusted. A lot of models feature ample neck warmers either as an extension or a separate piece. These are generally made out of fabric, which doesn’t offer the same level of wind and water resistance as more rigid material employed for winter clothing but is extremely flexible and allows for ample head movement, as well as for the placing of a dog collar. If rain is your prime concern, then you will want to invest in a model that also features a hood, although the dog won’t really enjoy wearing it in any other circumstance. Doggy ponchos are also available and are recommended over regular water repellant jackets when low temperature isn’t an issue. Some new dog coats feature good thing to have if the dog you’re buying for is especially lean. These will prevent the jacket from hanging too loosely and will better keep it warm during winter. Pockets or pouches rarely come as an option, but when they do, they’ll provide a good way to store some dog-related paraphernalia that you might otherwise lose track of among your regular items. Most dog jackets reviews stress the importance of reflective material as an additional safety feature. This will make your dog easier to be seen by oncoming traffic and it’s highly recommended if night walks through parking lots or by the side of the road are a common occurrence. These are basically mandatory if you want to take the dog on a boat, for the same reason as humans usually wear them. Most breeds might be good swimmers, but land creatures can only stay in the water for so long before getting tired and starting to choke. These specialized jackets are designed to assist a dog’s natural motions while swimming, as well as make it easier for you to pull it out of the water. They feature a couple of floats along the dog’s back area, and sometimes a floating assist right underneath its chin, to make it easier for the head to stay above water. Two or more handles are a given, and these should be distributed roughly around the animal’s center of weight, so it stays as straight as possible when pulled out of the water. This is important because forceful moves might cause it injury if the vest rests on any particular point, or worse, the jacket itself might come off. When you want to get it off, however, a quick release system might be deceptively important. It’s a well-known fact that cold water makes any warm-blooded organism loose heat especially quickly, this is why people who fall overboard in freezing temperatures must be dried up quickly. Hypothermia is especially dangerous to a smaller framed creature such as a dog, so removing the soaked life jacket must be a top priority in low temperatures. While other types of dog clothing might come in any color, life jackets are almost always painted in bright hues of yellow or orange for better visibility, with some light reflective material added in to facilitate night rescue.